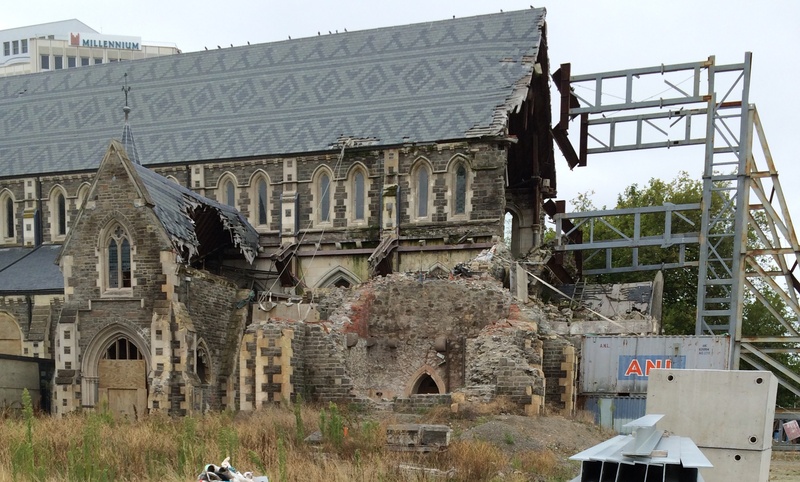 Christchurch on New Zealand’s South Island is still in recovery mode after two major earthquakes in 2010 and 2011, and hundreds of aftershocks. The downtown will take a decade to fully recover, and some formerly beautiful neighborhoods along a river have been condemned, with no rebuilding allowed since there was subsidence up to two feet, and still potential flood danger. This majestic and historic cathedral that was damaged multiple times by earthquakes in Christchurch’s downtown (an estimated $150 million to repair). 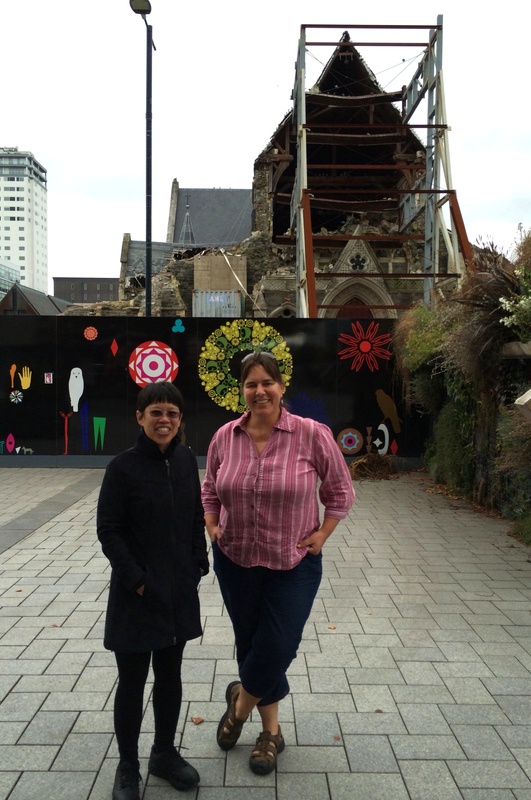 My host Catherine Reid, paleontologist on the University of Canterbury faculty, gave us a quick tour of earthquake damage in the city. 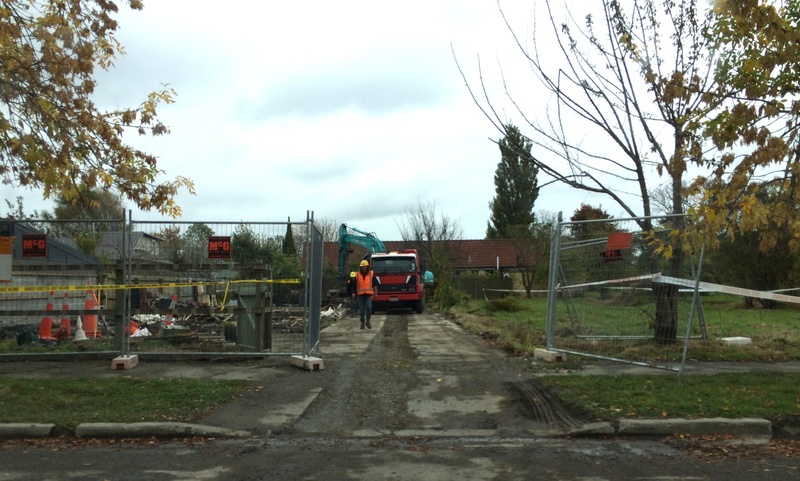 Former suburbs in the “red zone” have homes still being taken down. 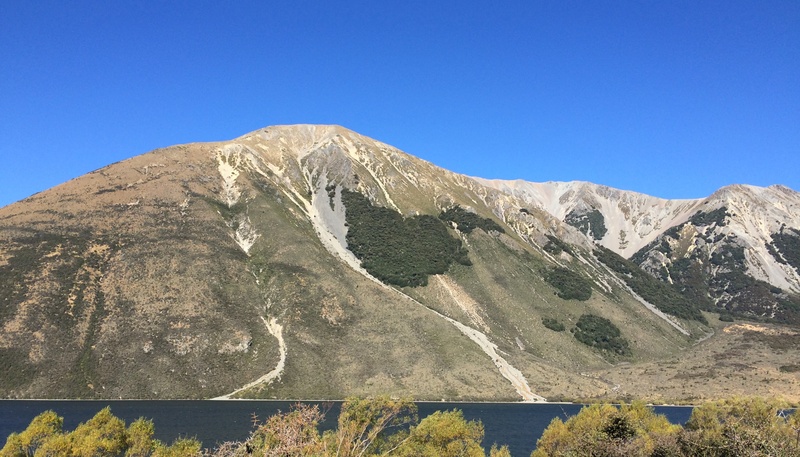 After giving two talks in Christchurch, we got in a brief day of getting up to the mountains at Arthur’s Pass. In the countryside there were lots of sheep and impressive cut rows of hedges. 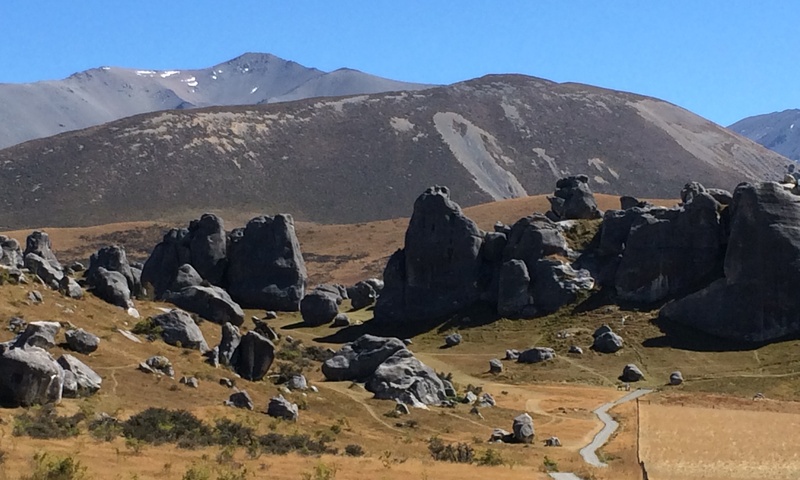 The mountains had sculptural limestone monoliths, lots of big wide braided river valleys, erosional talus, waterfalls, and more. 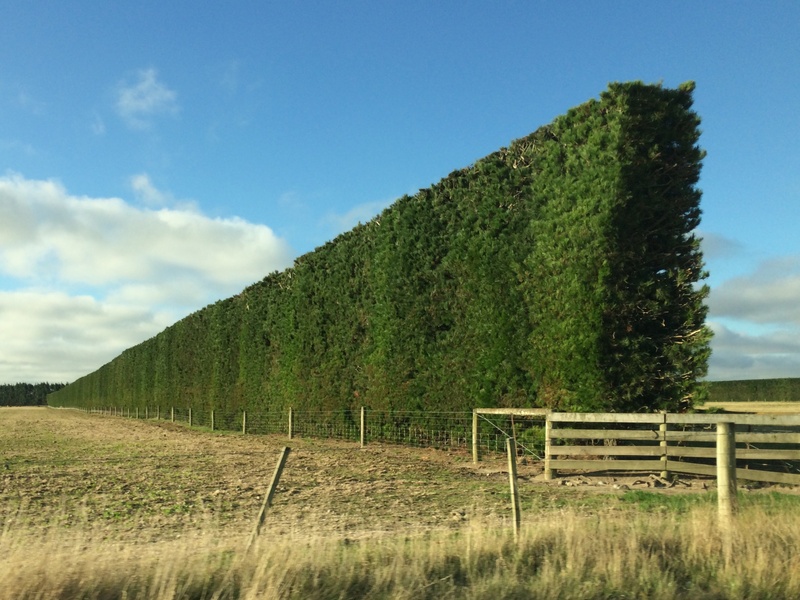 Tall trimmed hedges for wind breaks. Weathered soft limestone monoliths look like sculptures. 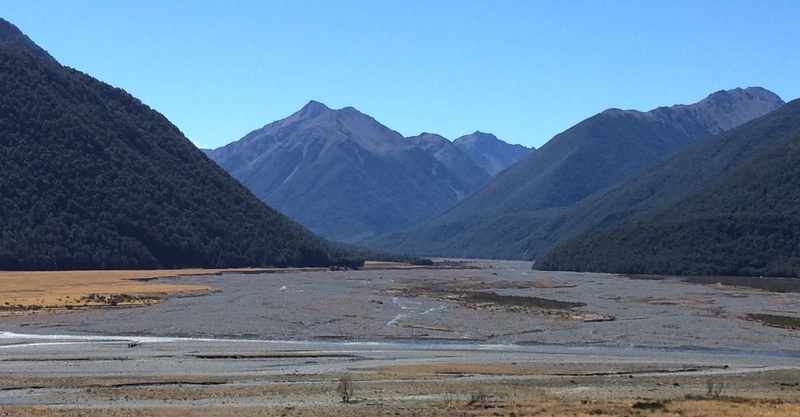 Arthur’s Pass has tall mountains with big braided river valleys. Erosional talus goes all the way to the water’s edge. Limestone monolith and erosional talus slope are quite spectacular.